“In 1996 we began to pick up strong emotive signals from a small group of men living in: large-desolate-mountain-region-Afghanistan. A focused, intellectual, extremely angry group, they share a religion with 1.4 billion other demmels; they call themselves Muslims. It’s earth’s second most followed faith-belief-system, after Christianity. They believe in a God named Allah. This small group is unlike most Muslims, in that they plan, encourage and carry out devastating violence and claim to do it in the name of their faith. In 1996 they began planning an attack on the United States. They hated the United States for their military occupation of an area they considered sacred land…a place called Saudi Arabia, and for supporting a country called Israel. They wanted to harm the United States in a spectacularly crushing way; to cause irreparable damage. They wanted to “cut the head off the snake,” and they wanted to do it while the entire planet watched. We spotted the World Trade Center towers early on; they were two of just a few grand structures we could see from just inside their planet’s atmosphere. We also saw some extremely large, structural spectacles in other highly populated areas; places titled: Chicago, Houston, and Los Angeles. Symbolism is very important to demmels; they seem to create things for more than utility. Sometimes they create objects to send symbolic messages to others, or just to share a sense of pride in themselves. They’ve built many grand structures, and they’ve been building them for a long period of time; long before they developed technologies that allow machines to do most of the work. They built the Pyramids of a place called Egypt. The pyramids were built only with the physical labor of a technologically-challenged people; making them, in many ways, more impressive than structures created using modern technologies. 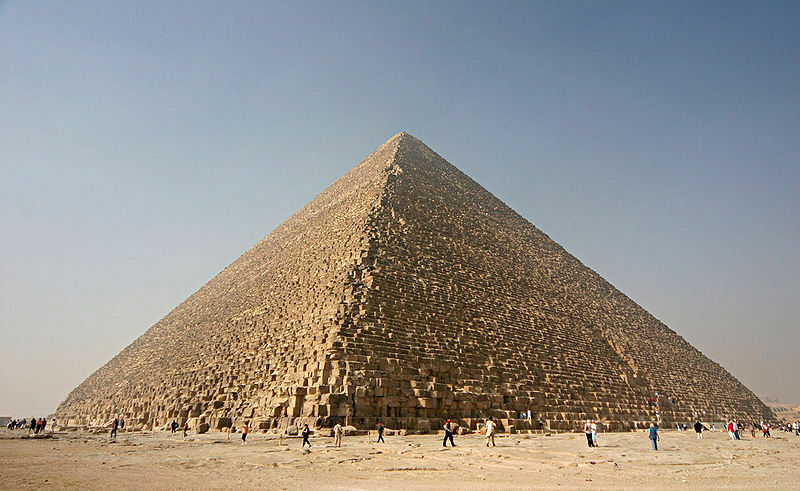 Demmels estimate this – the great pyramid of Giza was built about 4,500-earth-years ago. It was built by hand, piece by piece, over a long construction period; between 14 and 20 earth-years. Individual demmels can vary greatly in their levels of pride, as can groups. The level of group-felt-pride is sometimes related to the wealth and technological sophistication of the group. The United States has some of the most prideful demmels on the planet. And some of the most prideful people, of the most prideful country, live in earth’s second-most-densely-populated area; New York City. 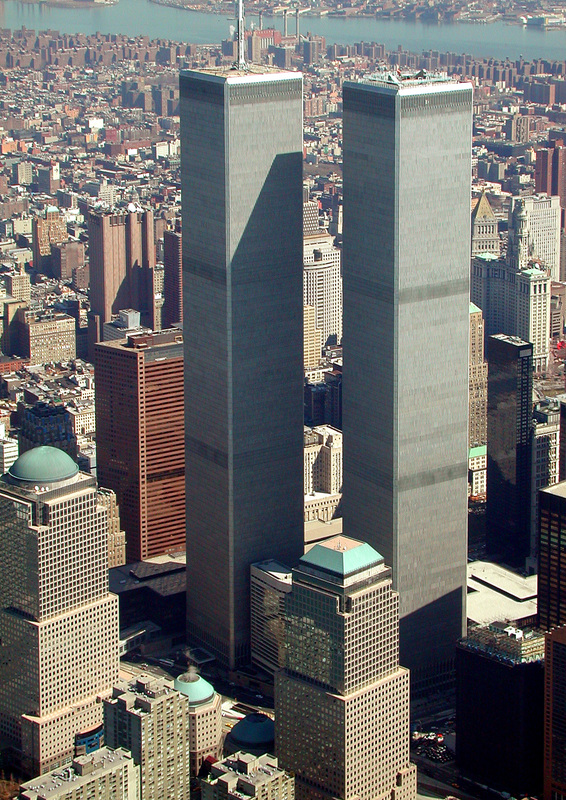 The World Trade Center towers were impressive due to their size, design, symmetrical nature, and because there were two of them standing, proudly, side-by-side. It seems clear that the people who built these towers, like those who built the pyramids in Egypt 4,500 years earlier, had a strong sense of pride. New York City has many impressive structures, but the World Trade Center, built about 35-earth-years ago, were about more than utility, and more than a source of pride. They served as a symbol to demmels across the planet; a reminder of the United States’ industrial success, accomplishment, and dominance. They also served as a sort of global economic and commerce centre. While the demmels transportation and information technologies are inferior to ours, it’s clear they have an extremely strong will and sense of determination. In 1998 an extremely well-connected and wealthy Muslim man named Osama Bin Laden issued a written demand (Fatwa) that called for the United States military to leave the holy place titled: Saudi Arabia. The United States military remained in Saudi Arabia. These men wanted to devastate the U.S. economy, and do it in a way that would be symbolically significant. They targeted the World Trade Center towers, and other United States government-run facilities. Their conversations regarding the World Trade Center were clear, they wanted to take them down using private U.S. airplanes as weapons. They continued to plan for the next 3 years. They recruited demmels who spoke english and had lived in western countries, some demmels who knew how to fly planes, and all of them had to be willing to die to finish their job. They learned how to fly. They took test rides as passengers on airplanes. They planned what they would do to get the planes in their control, how they’d handle the passengers, and how they would use the planes to complete their murderous mission. It was a normal, typical morning. That’s what Michael Nestor remembered about the beginning of that Tuesday. The day would impact him as intimately as it would anyone, with the exception of those who either lost someone they loved, or died themselves. Michael Nestor is a former police officer. On September 11, 2001, he worked as an investigator for the New York, New Jersey port Authority, on the 77th floor of the north tower of the World Trade Center. On this day he’d have breakfast at a restaurant at the top of the north Tower. The view from the top of The World Trade Center’s “Windows on the World” restaurant was a jaw-dropping sight to first-time witnesses, but it was something Michael Nestor was used to. “I would eat there regularly, lunch meetings, breakfast meetings, I was up there I’d say at least twice a week.” Nestor says. At 8:30 A.M. several planes were either in the process of being hijacked or already under control of the men with plans to do harm to the United States. But only a few demmels knew this, and no one knew where the angry ones were headed, or what they planned to do with the planes. Nestor says he remembers a man from his organization who was at the restaurant that morning. “I noticed it because he was never up there,” Nestor says. By this time the FAA was receiving reports that demmels on airplanes had been stabbed, and flight attendants were sharing horrible situations, violence. Nestor was getting ready to leave Windows on the World. Nestor and his co-worker were wrapping up their breakfast at the top of the north tower. Before the doors closed Nestor heard the clacking of high heels. They took the elevator from floor 107, to 78. Nestor got off on 78, then walked down a flight to his office on the 77th floor. “See you later, have a good day.” His friend continued on the elevator, headed down. Two minutes to impact. As the planes flew hazardously close to New York skyscrapers, some of the demmels on the planes became more aware that they were in immediate, grave danger. “We’re flying too low, we’re flying way too low.” One report says a plane passenger told a loved one on a cell phone call. “I went and sat down at my desk.” Nestor says. He says he was at his desk less than 2 minutes when it happened. He didn’t know what happened, but the first plane hit his building – the north tower, just several floors above his office. He says often helicopters and small planes would fly around the World Trade Center. But then he says, the tower started to rock. People were alarmed, but not panicking. No one knew what had happened. People from several companies gathered in an office, and then they started the walk down 77 floors. “We didn’t know how serious it was until we realized there was rubble blocking one of the stairways.” Nestor says. So they began walking. Calmly, down 77 floors. It takes a long time to walk 77 floors. “People weren’t panicking. It was dark in the stairwell, emergency lights were on.. But there were no sirens. And no screaming, nothing like that,” Nestor says. Less than 30 minutes into their walk down, at 9:03….a second plane hit the south tower. Nestor says he heard noise but didn’t know what had happened. His wife was at home, watching. But they couldn’t talk, his cell phone wasn’t working. He says they passed by firefighters who were heading up as they went down. They were told that a plane had hit the other tower. And during the time Nestor and his colleagues were walking down the north tower…. the south tower came down. The south tower was the second tower hit, but the first one to come down; it fell about 62 minutes after it was impacted by the plane. It wasn’t Michael’s building. If it had been, he would have never made it out of that stairwell. His tower – the north tower – took 102 minutes to fall after the plane hit it. Barely enough time for him to get out. At the 7th floor a woman in the stairwell couldn’t walk, so Nestor picked her up and carried her. The briefcase would be the only relic from a career that spanned decades. Everything else would be gone…soon. Nestor says the relative calmness of the stairwell was a stark contrast to the chaos outside. Sirens, panic, bloody people, dead bodies, body parts. Worse than the worst horror movie. He says they lost dozens of officers in that building, and many more civilians. He says he thinks about the fact that he was one of the last ones to leave the Windows on the World restaurant. Everyone who was in the restaurant when Nestor got on that elevator, died when the north tower fell about 105 minutes later. Nestor says he thinks about it every day; about what led him to get up, instead of having one more cup of coffee. The demmels are more impressive when viewed up close. To judge them simply by their lack of technological capabilities is to miss out on a lot they have to offer, and a lot of the impressive, unyielding spirit they seem to have. New Yorkers have bounced back. There are rebuilding a structure they call “Freedom Tower” on the same site of the original World Trade Center.